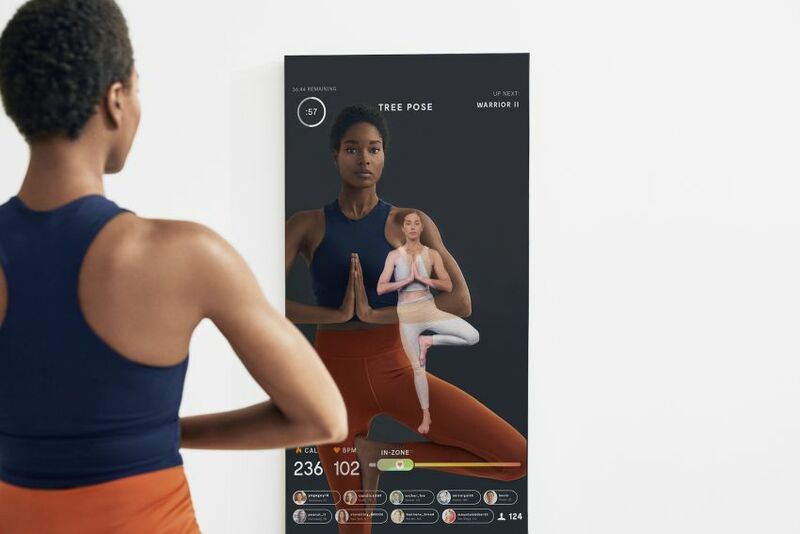 Keeping the wave of in-house workouts in mind, this smart mirror comes integrated with high-powered tech to give you live fitness classes right in your living room. The panel is a liquid crystal display (LCD) with built-in stereo speakers, a camera and a custom software powered by quad-core processor. When switched off, the 22-inches wide and 52-inches display works like a mirror. Once switched on, built-in LCD display and speakers come alive to bring a virtual fitness instructor to your doorstep. 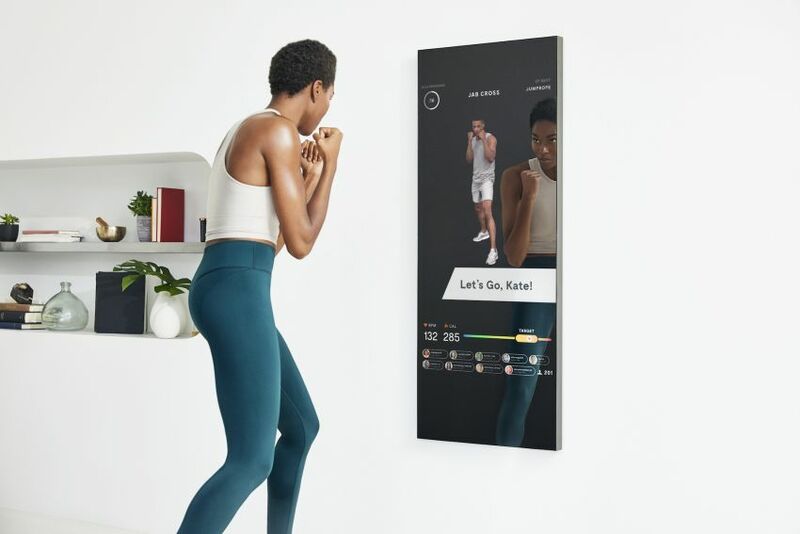 Operated by an iOS companion app (there’s no word if Android support is arriving), the smart mirror streams live or pre-recorded fitness classes. Meanwhile, you can also see yourself doing the workout. Live streaming or pre-recorded videos can also be played with other monitoring devices, thanks to Wi-Fi and Bluetooth connectivity. 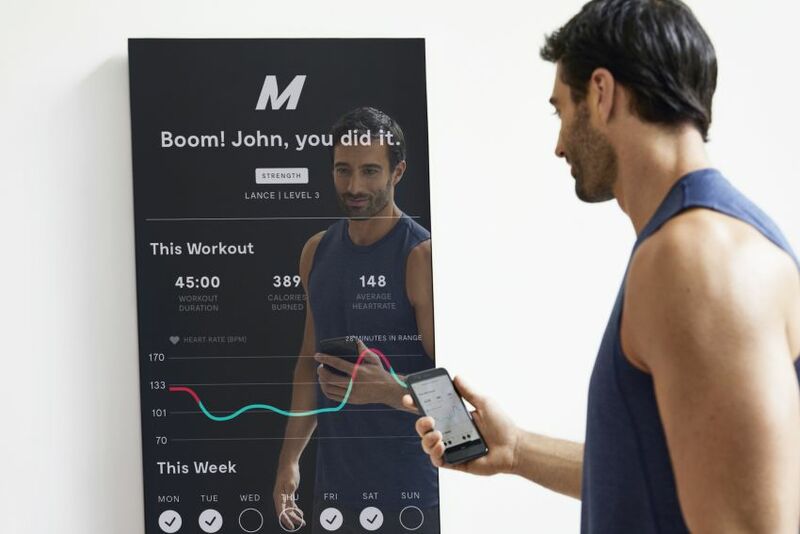 The connected mirror can be synchronized with an Apple Watch and other Bluetooth fitness monitors for regular workout classes. The workout classes include yoga, cardio, boxing, strength, barre, stretch, and pilates, with different levels of difficulty. According to the company, there will be more than 50 classes to choose from every week. 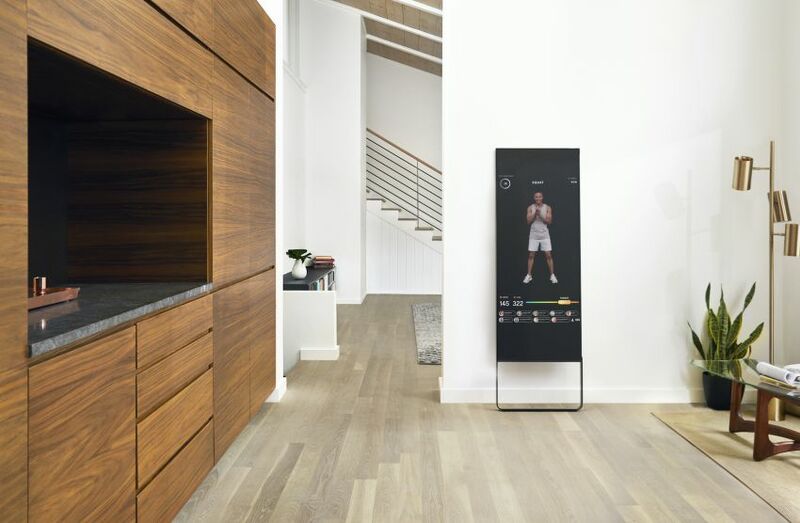 It will be the world’s thinnest and smartest gym room, as per the company. However, it is not designed to be a multi-user experience – though the firm might come up with some solution or alternative. The company is also including a heart rate monitor in the $1,495 device and coaching classes for an additional $39 a month. If you are willing to get in shape the expensive way, you can order your virtual home gym here right now.